Both of these chants are sung frequently in Siddha Yoga Intensives and programs as an invocation. Jyota se Jyota was written in the 1970’s by a devotee of Baba’s. 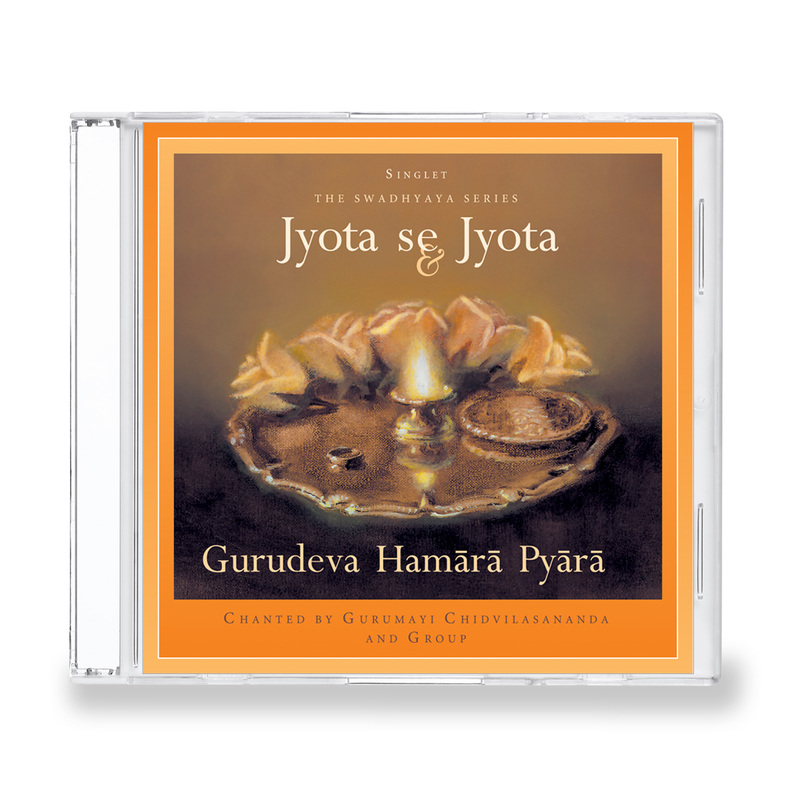 The words mean “light my lamp from your lamp.” Gurudeva Hamara Pyara means “to our beloved Guru.” Included are the translations and transliterations of both chants as well as complete instructions on how to perform arati, the ritual waving of lights that accompanies the singing of Jyota se Jyota.